How do our two wild chickens survive the marauding fox without an electric fence? By living with the pigs of course. Winter Moon Farm is an attempt at symbiosis or at lease synergy. We graze different animal species consecutively so we can minimize parasites. We rotationally graze our pastures working with the natural cycles of ruminants and perennial grasses. Our farming practices are underpinned by the assumption that agriculture is the most productive and sustainable when it mimics or follows natural cycles, symbiosis, and ecology. Yet we have spent a lot of the past few weeks trying to upset the natural rhythms of predator and prey (fox and chickens), the inclination of the pigs to duck their fence and roam through the wilds of our neighbor’s gardens, and the tendency of turkeys to fly the coop and get chased by our dogs. Multi-species interactions, planned or not, are what keeps things interesting and meaningfully differentiate us from a bigger mono-culture. Back to the wild chickens. We have two of them. One is a five year old layer that escaped the butcher’s block by flying away at the right time. She has been living on her own scavenging dropped grain along with bugs and grass for a couple years now. 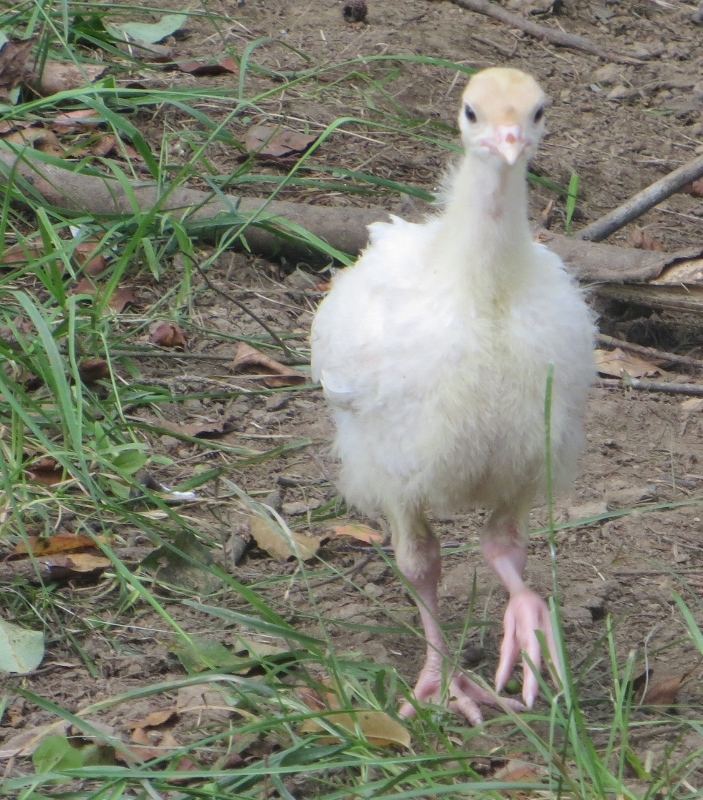 The other is a meat bird who we nicknamed “runty” as she was much, much smaller than her brethren. She jumped out of the pen while we were slaughtering chickens. I was thinking of sparing her anyway. Each of these chickens bonded to separate groups of pigs. Runty sleeps with a sow and her young litter and has grown much larger sharing the sow’s grain. She is often the early alarm system jumping up and squawking as we approach. At times she has taken to roosting on top of sleeping pigs. It became clear after the fox ate a few escaped chickens that these two had an advantage and were protected by their porcine associations.